We have all had setbacks in life. You are going along your merry way, making progress on the road of life, and WHAM! A setback hits you. The enemy gets into somebody and uses them as a weapon against you to impede your progress. You have an argument with someone, or a relationship goes bad. You get sick. Your car breaks down. Whatever it is, you are reeling, and you have to regroup and move forward. 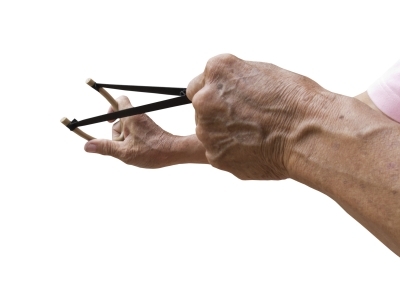 It’s not pleasant, but it’s a part of life. God is sought more earnestly. When the devil rears his ugly head in the form of a setback, the normal response is to run to God. Thus, a setback can be a reminder of how much you need Him. Running to your Heavenly Father strengthens the bond and deepens the relationship between you and Him. Furthermore, as you spend time with God to get direction, the Holy Spirit is able to do a work in you that may need to be done. Without the setback, perhaps you would not seek the Lord with as much fervor. God allows setbacks, knowing the impact they will have on you, and He uses them to bring about desired results in your life. Lessons are learned. Whenever you experience a setback, there is a lesson to be learned. When you look back on the situation, ask yourself, “What could I have done differently? Did I miss God? How can I use this episode to learn to hear His voice more clearly and accurately?” If you learn the lessons, the pain won’t be wasted. Make sure you reflect on the setback and determine if there is a lesson to be learned from it. Let it be a tool by which God prepares you for your future. God’s glory is increased. Whenever you have a setback, it could be that God is allowing the situation to worsen so that He can glorify Himself even more. For instance, He let Lazarus die so that He could get more glory by raising him from the dead (John 11:38-44). Maybe your relationship has gotten worse, and you’re in conflict with your loved one more than ever. Could it be that God is setting Himself up to be glorified in a greater way? A setback doesn’t mean the situation won’t be resolved. God will just get more glory when it is resolved. Patience and endurance are developed. Whenever you experience a setback, you may get discouraged and even want to give up. But when you have the courage and determination to get back up and try again, your spiritual muscles are being developed. When you get knocked down but get back up and keep moving forward, that builds endurance and patience. James 1:2-4 says, “My brethren, count it all joy when ye fall into divers temptations; Knowing this, that the trying of your faith worketh patience. But let patience have her perfect work, that ye may be perfect and entire, wanting nothing.” A setback is most certainly classified as a trial or temptation. But the Bible says you can benefit from the negativity and still have joy if you recognize that God has designed the setback to do a work in you that will result in future good being wrought in your life. So as you can see, setbacks can be beneficial when viewed properly. I heard a preacher once say, “A setback is just a setup for a comeback!” Therefore, when a setback hits you, God wants you to immediately regroup and begin to view the situation in a positive way. He has a plan for your life, and He unfolds that plan according to your days that were written in His heavenly book mentioned by King David in Psalm 136. Therefore, when a setback occurs, don’t despair. Make the decision to rejoice and milk it for all it’s worth. God has a purpose for what happens, and if you keep the proper perspective, He will cause it to work to your advantage. Remember this: A setback only becomes a “holdback” when you stop believing and allow the enemy to deceive you into thinking that he can use it to defeat you. What have you learned as the result of setbacks in your life? Leave a comment below. Image courtesy of Olovedog via FreeDigitalPhotos.net. Realize there is a purpose for the thorn. Paul tells us to keep him from being” exalted above measure” (II Corinthians 12:7),God gave him a “thorn in the flesh.” Therefore, whatever you want God to remove that He is not removing is serving a purpose right now. Even if you don’t see how your thorn is benefiting you, God has a reason for it at this time, and He is using it to develop you. He is working it for your good (Romans 8:28). So wait on the Lord and be of good courage (Psalm 27:14). If and when God’s’ ready, He will remove the thorn once it has served its purpose. Depend fully on the grace of God. Realize while God allows the “thorn in your flesh” to remain, He covers you with His grace. He will enable you to do what you need to do, by His grace. When you factor God’s empowerment into the equation, then your weakness is no longer a limitation because His strength is made perfect in weakness. He still needs you to show up and do your best, however, but He will fill in the gaps and get the job done. His grace is truly sufficient (II Corinthians 12:9). Be on the lookout for ways God’s strength is made perfect in your weakness. What is the advantage that this “thorn” affords you? The main advantage of a thorn in the flesh is that it makes you have to depend on God. You will forge a greater bond with Him if you view the situation properly. 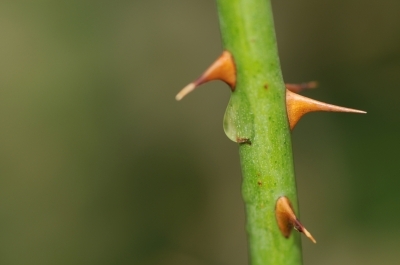 Some people, however, let thorns drive a wedge between them and God. This is not expedient. When you do that, you are no longer hooked up to the Power Source Who has the ability to help you deal with the thorn effectively. But if you hang in there, keep a good attitude, stay close to God, and look for ways that the thorn can work to your advantage, He can do something spectacular with your life in spite of the limitation that you have. When it comes to your weaknesses, instead of saying “What’s wrong with me?” or continuously asking God to remove the thorn, and allowing the enemy to use it to make you feel condemned, why not accept yourself right where you are? Paul did. Instead of feeling condemned about your thorn, delight in your weakness and rely on the grace of God. This sounds counter-intuitive, but God’s grace is truly sufficient to see you through any situation. When you have the proper attitude toward the weaknesses in your life, the power of God can flow through you, and He will be glorified in you. Then you can truly say as Paul did, “When I am weak, then I am strong” (II Corinthians 12:10). How what lessons have you learned about your thorn in the flesh? Please leave a comment below. Photo courtesy of Gualberto107 via freedigitalphotos.net. Eliminate “How?” from your vocabulary. Many times you have no idea how the things you desire will come to pass in your life. That alone can cause you to lose hope. However, Joel Osteen once said, “Just because you can’t see a way, doesn’t mean there is no way.” God says He can make rivers in the desert (Isaiah 43:19). Therefore, stop asking the question “HOW?” Follow His instructions and leave the rest to Him. Make a decree. Job 22:28 says, “Thou shalt also decree a thing, and it shall be established unto thee: and the light shall shine upon thy ways.” When you make a decree, God will start to show you how to go about making what you have decreed come to pass. As you get instructions and start to carry them out, hope is instilled in you. Furthermore, when you make a definitive statement out loud, somehow you begin to think to yourself, “This really could happen!” and hope is revived. Therefore, it’s important that you recite your affirmations regarding your future daily if you want to keep your hopes up. Realize God’s love for you. Romans 5:5 (NLT) says, “And this hope will not lead to disappointment. For we know how dearly God loves us, because he has given us the Holy Spirit to fill our hearts with his love.” Therefore, when you know how much God loves you, then you will recognize that He will follow through on His promises to you and will not let you down. You can keep hoping and believing He will keep His Word because you are confident in His love. Get rid of your time table. If you have a set time in mind for things to happen or you will stop believing, you will be in for trouble. Think of all the people in the Bible who waited. Joseph was in prison for 12 years. The woman with the issue of blood waited 12 years for her healing. The Israelites were enslaved for 433 years. If they had to wait, then so will we. Refuse to give up hope no matter how long it takes. Rehearse past victories. David describes to King Saul in I Samuel 17:34-37 how he had killed a lion and a bear. He used his past victories to fuel his belief that he could defeat Goliath, the Philistine giant. He was keeping hope alive by rehearsing what God had done for him in the past. 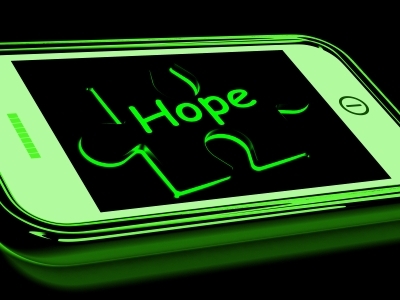 That is what you must do when hope begins to wane. Think about how God enabled you to get the victory in other situations, and that will help you to keep hoping in spite of what you are facing. Keep your ears open for testimonies. When you are losing hope, be on the lookout for people who have been through similar situations and come out on top. When you hear someone’s testimony, it’s a natural hope builder. God is not a respecter of persons, and if He did it for someone else, He will do it for you. Pray for hope. In Romans 15:13 (NLT), the Apostle Paul said, “I pray that God, the source of hope, will fill you completely with joy and peace because you trust in him. Then you will overflow with confident hope through the power of the Holy Spirit.” He prayed for hope to fill the people. Therefore, if we want hope, we need to pray also. If you are losing hope, why not ask God to help you to keep hoping even though things look bleak? The Holy Spirit will cause hope to supernaturally abound in you. In this two part series, we have defined hope and differentiated hope from faith. We have discovered the importance of maintaining hope as a precursor to faith. Finally we have been given strategies for maintaining hope. I want to challenge you to take one or two of these tips per week and focus on implementing them in your life. I pray that your hope level will soar and your faith will deepen. When you focus on maintaining your hope, I believe the result will be a happier and more joyful life, the ability to believe God for the miraculous, and more answered prayer. God bless! Which point above resonates with you the most? Please leave a comment below. Photo courtesy of Stuart Miles via freedigitalphotos.net.